If you've already had gallbladder disease or gallstones, you may wonder if your diet might affect your risk of developing the condition again. If you consume too much sugar each day -- perhaps in the form of sugar-sweetened soft drinks -- you might be increasing your risk. However, all the research isn't yet in, so it's not clear whether cutting back on sugar-sweetened soft drinks might help your gallbladder. Your gallbladder exists to store the digestive bile produced by your liver until your stomach needs it. Two types of common problems with the gallbladder occur: inflammation and gallstones. You can suffer from both, or just one or the other. Gallstones may not cause symptoms, but if they do, you may experience nausea, pain and vomiting, especially a few hours after eating a fatty meal. People who have experienced gallbladder inflammation or gallstones in the past often see recurrences of the problems. In some cases, the problems become so severe your doctor might recommend gallbladder removal surgery. There's no doubt that adjusting your diet may be able to decrease your risk of gallbladder problems. For example, high intakes of saturated fat, sugar and refined carbohydrates seem to predispose people to gallbladder disease, while high intakes of fruits and vegetables, plus nuts, may protect against it. No researcher has published a study specifically on soft drink consumption and the risk of gallbladder problems, but sugar-sweetened soft drinks -- which can contain 40 g or more of sugar in a 12 oz. serving -- could contribute to your risk due to their high sugar content. Easily digested sugar -- such as the highly refined sugar found in soft drinks -- seems to promote gallbladder disease more than other forms of carbohydrate, according to the Linus Pauling Institute. People with higher dietary glycemic loads -- in other words, diets high in simple, easy-to-digest carbohydrates -- suffer from gallstones and gallbladder disease more often than people who follow diets that feature complex and fiber-rich carbohydrates. This effect appears in both men and women. However, it doesn't prove that the sugar in soft drinks, or elsewhere in your diet, causes gallbladder disease. 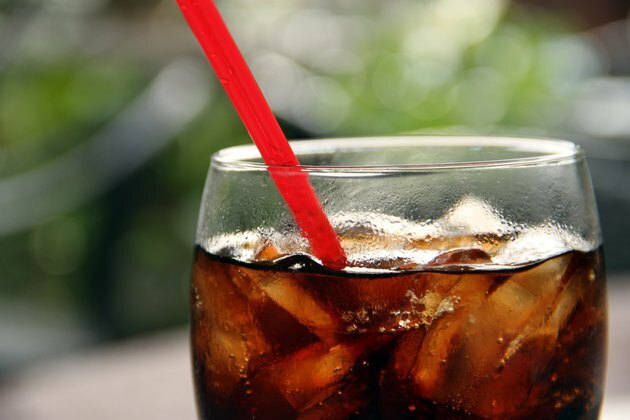 Consuming large quantities of sugar-sweetened soft drinks may increase your risk of gallbladder problems, but there's not enough evidence to recommend that gallbladder disease patients avoid soft drinks completely. Instead, you should talk to your doctor about your diet in general and your risk factors. Consider switching to diet soft drinks or cutting back on your soft drink consumption, and possibly replacing some of that sugar with higher-quality carbohydrate sources, such as fresh fruits and vegetables.